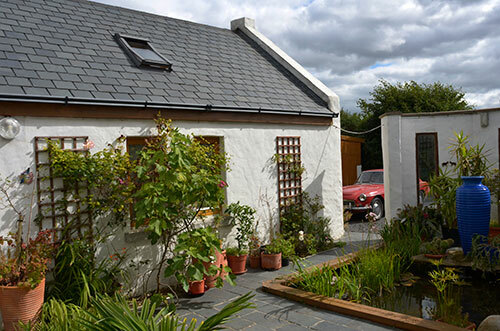 Bertra Beach Cottage – modern self catering holiday studio apartment rental for 2 people on Bertra Beach peninsular under Croagh Patrick with patio deck. Location : Westport, Co. Mayo. 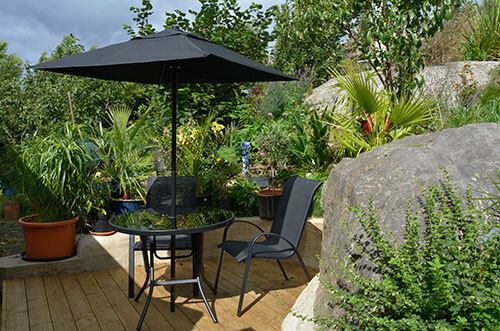 Located on the Atlantic Way under Croagh Patrick on the Blue Flag Bertra Beach Peninsular, 9 km from the beautiful town of Westport – the adventure sports capital of the West – and 9 km from the quaint village of Louisburgh. 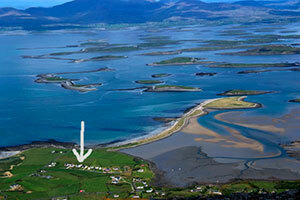 This is a perfect location to combine a climb on Croagh Patrick with a beach holiday such as swimming, shore- fishing, windsurfing, kite-surfing, sea-kayaking. 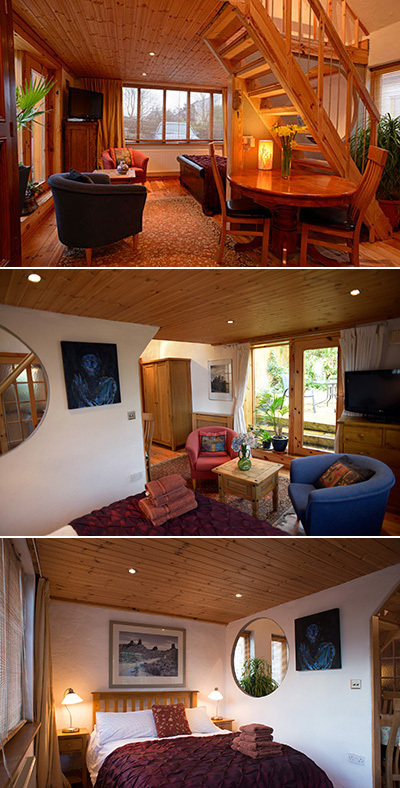 Close by are golf courses, surfing beaches and bird watching areas. There are Pubs, Bar food and a Restaurant in the nearby (1 km) villages of Murrisk and Lecanvey. 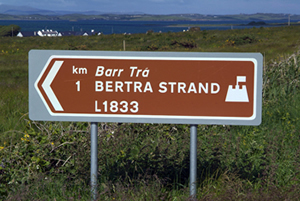 Greenway to Bertra Strand – Work has commenced to bring the Greenway to Bertra Strand past Bertra Lodge ! In 2019 guests can access the Greenway in front of Bertra Strand Apartments to walk or cycle to Croagh Patrick and the Pubs and Restaurants in Murrisk (approx 1 mile away). 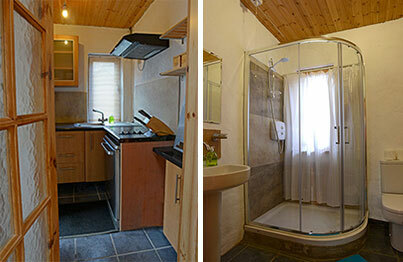 Service Charges: Electricity, heating, broadband and bins + € 35 / week. Weekly bookings time frame – normally Saturday to Saturday in high season. Mid and low season minimum 3 days [please vacate by 11 am to allow turn-around]. Booking Deposit € 200 low season , € 250 high season [non-refundable if cancelled]. Payment : Full payment : Balance on arrival in cash – Receipt issued. If you are traveling with friends and relations please note that 2 other apartments Croagh Patrick Apartment (sleeping 2) or Bertra Strand Apartment (sleeps 2) may also be available. Booking deposit payment by PayPal : You receive a paypal email from us with secure paypal payment instructions for credit and debit cards or bank transfers. (Paypal guarantee booking – this is the easiest, fastest and most secure booking method). Account transfer: You can also pay by bank transfer – please contact us. Important information : We are sorry – no dogs or pets. Non-smoking House – smoking outside only. Due to internal and outside steps on deck/walkways and the pond with a waterdepth of 20-50 cm the property is not suitable for people with walking difficulties, babies or young children. There is no wheelchair access. Cycling : This area is a spectacular cycling area with many marked small cycling roads. Besides trips to Killary Harbour, Silverstrand the the islands – there is a cycle lane along the coast from Croagh Patrick to Westport that joins up with the newly opened GREENWAY cycle lane to Newport, Mulranny and Achill Island. There is a planned Greenway extension from Bertra to Louisburgh and Roonagh Quay. 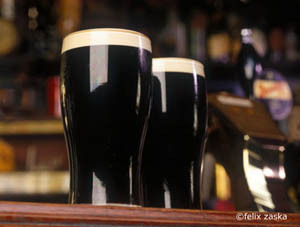 Besides the many Pubs and Restaurants in Westport and Louisburgh we have 3 local Pubs for a good pint of Guinness in the local villages of Murrisk and Lecanvey (Stauntons) approx 1 mile away.– (Campbell’s and The Tavern also serve good Food). Also recommended is the Shebeen Pub for food on the coast road before Westport.